Constitution Amendment: My colleagues voted to keep their mini thrones of power and not in Nigeria’s interest- Shehu Sani – Royal Times of Nigeria. On Wednesday July 26th, the Senate conducted a vote to make some ammendments in the 1999 Constitution. 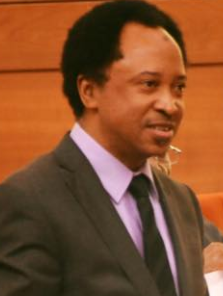 According to Senator Shehu Sani who was present in the senate during the voting, many of his colleagues voted just to keep their mini thrones and not in the best interest of Nigeria.